Your grandpa started loving the Astros back when they were the Colt .45s, playing the first three seasons at Colt Stadium. This was years before the Astrodome was built. It was the same love he had for the state of Texas, for his country, and for his family. The same love he had for his brother before they lost each other on a Normandy beach. Your grandpa went to every home game. Bought a little house within pitching distance of the Astrodome, a pre-fab home at the fringes of refinery stench from Pasadena. Lights in the parking lot across the highway always illuminating the stadium. He would sit on his porch on nights when the Colts were away and long for the stadium’s insides like the comfort of his mother’s arms. You cannot think of baseball without thinking of your grandpa. The two forever tangled in each’s DNA. Before the Second World War, your grandpa was a man who loved to cook. Barbeque labored over for days was his specialty. This carried him through the war, cooking meals for soldiers in the middle of all the bad. There’s a story that your family passes around that your grandpa fed Theodore Roosevelt out in the middle of France. Roosevelt told him his make-shift ration-based meal was the best he’d had in the whole damn war. You never believed anyone when they told you this story, because why would a former President be in France during the War? Later you understood that it was Theodore Roosevelt Jr., and that the rumor was fact. The two knew each other––where and how will never make sense to you. So when he became a regular to the Colt .45s and eventually the Astros, your grandpa made sure he was always out in the parking lot, cooking barbeque out of a pit smoker the size of a pickup truck, roasting homemade sausage and slabs of beef, all of it caramelized with smoke and fat and love. He’d hand roll and bake his award-winning potato balls, would make enough so that anyone walking by would get one pitched to them. If he ran out, he’d make more. And he was always in his seat long before the game started. You went to one game with your grandpa and your father at the Astrodome. During the game a foul ball went high and came down in the crowd and smacked an old man in the head. He sat across the aisle from you. He flopped out onto the stairs and had to be carried out on a stretcher. That was one of two things you remember about that game. You don’t remember if the Astros won or if they made any spectacular plays. You don’t remember if that was the time you ignored the players and instead watched George H. W. Bush, sitting in the prime seats, shove two footlong hotdogs in his face like he was never President, like he’d always been a blue-collar like your grandpa––even though your grandpa couldn’t afford the footlong dogs. The second thing you remember about that game is your grandpa’s face as he watched the players run on the field, as he sang the National Anthem, as he growled Play ball louder than anyone around the three of you, as he shouted constant encouragement to the field. You remember how much it meant to him, sitting there watching the game, the three of you dressed in navy, orange, red, yellow, and white. Whenever the Astros lost––because they did often––your grandpa would say: “We’ll get it.” You find yourself saying this more often than you think. It’s become a blanket response: we need milk/we’ll get it, the car got a flat tire/we’ll get it, your father has skin cancer/we’ll get it. But you don’t know if its stitched with the same hope. You used to play baseball when you were eight. No matter how much you practiced in the backyard with your dad, there was never going to be a future for you in baseball. Your grandpa came to one of your games. While the game moved, you stood in the outfield and daydreamed about whatever it was you thought about at eight. At around the fifth inning, you walked across the field, interrupting the game, went to the fence in front of where your grandpa, your father, and your mom sat in the bleachers. You said “I don’t wanna play baseball anymore.” Your mom said, “Okay.” Your grandpa and father said nothing. 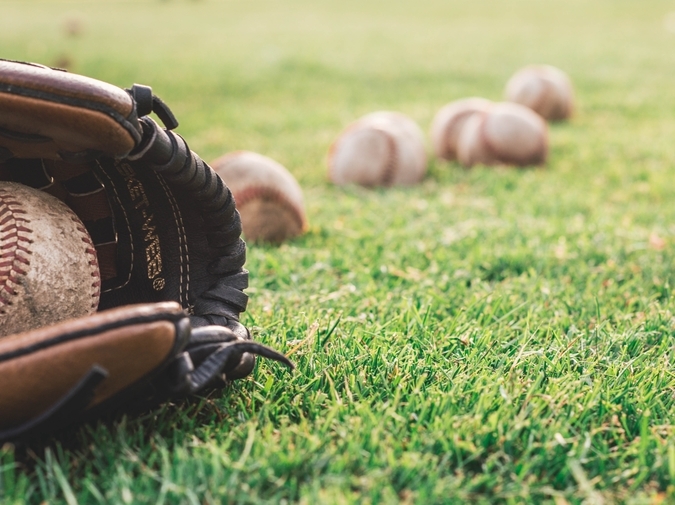 You didn’t play baseball ever again––even though the last time you picked up a baseball you threw a curve so hard and so fast you broke a guy’s finger. And even though you didn’t play, your father tried to keep that love alive. He took you to Astros games. You saw the players and the plays, but you didn’t watch. Like the time with your grandpa and George H.W. Bush, your mind floated away from the game. It wasn’t that important to you. At the last game your father took you to, Kenny Rogers was in the prime seats. You didn’t pay attention to the game. You kept making jokes because your father looks like Kenny Rogers. And he hates that he does and you know he hates it so you kept pointing it out. Every time Rogers was on the jumbotron, you’d say dad, they’ve got you up there. The Astros lost that game. Your father never took you to another. You always thought your grandpa had died of a heart attack in his sleep. This created a fear in you––that you too would have a heart attack, sooner than him, in your sleep. But you recently learned from your mother that he died from cancer––asbestos poisoning from decades at a fabrication shop. And as fearful as you are of an attacking heart, it’s nothing compared to the fear of the Big C. Ten people in your family have or have had cancer, including your father. Four have died from it, including a cousin who was only 38. You’re 33. Your father named you after your grandpa––even though you’ve never been to war, you don’t like baseball, and you hate Texas. So the Astros never won the World Series while your grandpa was alive. But that didn’t stop him. Even as he sat on the couch, dying from secret cancer, each game was a dose of morphine, a form of chemotherapy that kept him alive. Imagine having that much hope, after almost fifty years of No, he still believed––in his team, in the improbable. It didn’t matter to him. He knew it would, a faith that maybe not even the most devout religious followers feel. It’s a certainty that he believed: what his team deserved, they would get. It came seventeen years late. In 2017, the Astros won the World Series against six-time winners, the LA Dodgers. It was a series that went to Game Seven, the wins ping-ponging between the Dodgers and the Astros. There was something decidedly cinematic about the structure of the series, with games where scores went into double digits for both teams, where the underdog hit five home runs, and where one game was the second longest game in World Series history. When they won, you called your dad and said “We got it.” He said “Can you believe it?” But he couldn’t talk, his voice weak, clogged with joy and sadness and loss. It wasn’t a win for him; it was a reminder of what his father never got. Your father visited his father’s grave the next day and placed a Colt .45 hat on the gravestone, above the etched portrait and the words A Dedicated Man. The hat’s still there, but you’ve never seen it. You later learned that the stadium was sold, dismantled, and shipped to a Triple-A minor league team in Mexico. It was sponsored by a popular beer. It continued to live and serve as a place for others to fall in love with the sport. And then it was eventually demolished––a week after your grandpa died. You can’t be certain of this, but thinking back on it you wonder if the seats were a gift from H.W. to Kenny Rogers, that the two have some kind of friendship. You wonder if they ever play poker. Thomas Gresham's work has appeared in Superstition Review, Free State Review, Rougarou, Punk Lit Press, and Maudlin House. He lives in San Diego. www.squeakypig.com.